Learn more about our work with indigenous and traditional peoples here. 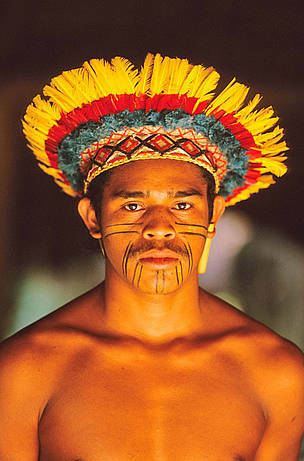 WWF's Statement of Principles on Indigenous Peoples and Conservation was drafted in 1996 and updated in 2008. WWF recognizes that indigenous peoples are among the Earth’s most important stewards of natural resources and key partners in realizing our mission. WWF’s policy reflects our dedication to respecting indigenous and traditional peoples' human and development rights and recognizes the importance of conserving their cultures. We are committed to collaborating with indigenous peoples and organizations to conserve and sustainably use natural resources and to advocate on issues of common concern. WWF believes that partnership depends on recognition of indigenous peoples’ rights and interests, appreciation of their longstanding contributions to biodiversity conservation and understanding of the links between biological and cultural diversity.